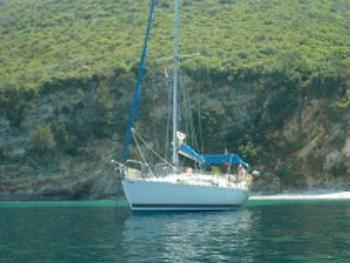 This yacht is priced from €1,210 per week in United Kingdom during September. More details about the Beneteau First 36.7 are available on the Beneteau website. cockpit perfect for genoa trimmers, mainsheet-trim position tucked behind the helm and a deep lead keel. The First 36.7 carries all the hallmarks of a great cruiser-racer. Please note that the details and photos shown for the Beneteau First 36.7 are general examples only. The specifications of yachts (including the number of berths, cabins and heads) varies so please confirm the details when booking with your yacht charter company.